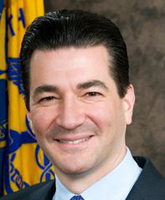 In a nearly 3,700 word missive by Scott Gottlieb, posted on August 29, 2018, the FDA commissioner attempts to bring some clarity to efforts by the agency to bring more innovation into the drug development process. Noting FDA’s goal of ensuring the right drug or device is delivered to the right patient at the right time, Gottlieb states the vision is moving closer to reality with innovative new products becoming available to pharma companies and its researchers. Specifically, Gottieb mentions technology platforms such as digital health, targeted medicines, and regenerative medicine, including cell and gene therapies. While offering transformative opportunities, these new technologies will also challenge the FDA to modernize its approach to evaluating new innovations. The commissioner states the agency has had to “refashion its regulatory approach to create more modern platforms that are better suited to the efficient evaluation of these advances.” This includes modernizing how the FDA organizes its medical product review programs, which are part of the agency’s comprehensive Medical Innovation Access Plan. New authorities and resources have made this possible, including the 21st Century Cures Act (passed in both the House and Senate in December 2016) and the recent re-authorization of the FDA’s user fee agreements. There is also additional funding for the agency included in President Trump’s Fiscal Year 2019 budget. Gottlieb notes these efforts will enable the FDA to fund the creation of a cross-cutting data enterprise for the generation of evidence, as well as a more modern and integrated approach to the evaluation of this information. He believes this will ensure the agency’s regulatory decisions are as flexible and sophisticated as the science driving the advances. To make the drug development process more modern and efficient, the FDA will have to work closely with industry stakeholders. Gottlieb notes the agency is working closely with partners in both the public and private sector to address scientific and technical challenges. He states randomized, placebo-controlled clinical trials are still the best tool available to evaluate the safety and efficacy of new medical products, but acknowledges greater efficiency is still needed to reduce cost and complexity. Newer products may even require nontraditional approaches. This is where industry partners can help. The FDA is working in collaboration with the Clinical Trials Transformation Initiative (CTTI) and the Medical Device Innovation Consortium (MDIC) to facilitate innovative trial designs and patient-centered endpoints. Although these approaches can be more rigorous, they can also make the clinical development process more efficient, enable investigators to learn more about a product’s efficacy and safety, and help regulators and sponsors detect efficacy and safety signals earlier in the development process. If successful, these approaches can lower costs by making it more economical for second- or third-in- class products to compete with first entrants. This is especially true in settings like rare diseases, where there is an available therapy, but still significant unmet medical need. Statistics support these statements. For non-orphan pharmaceuticals, 41 percent of first-in-class products approved between 1991 and 2000 had at least one competitor in the same class within five years. This rate dropped sharply over the next decade. For the years from 2001 to 2010, only 18 percent of drugs had a within-class competitor after five years. For first-in-class orphan drugs and biologics for non-cancer indications, 26 percent approved between 1991 and 2000 had a competitor within five years. That rate dropped to 13 percent for the period 2001 to 2010. The FDA is taking steps to facilitate more efficient clinical development programs, including improving efficiency in trial site contracting, first-in-patient studies, and Institutional Review Board (IRB) approval. The agency has also advanced efforts to modernize clinical trials by pioneering Master Protocols (MAPs) such as basket, umbrella, and platform trials, which increase trial efficiency and lower costs. In coming weeks, the FDA will issue additional guidance on MAPs and trial design strategies to expedite the development of oncology drugs and devices. The agency will also issue guidance on the use of adaptive trial designs, and innovative endpoints like minimal residual disease in hematologic cancers. The FDA recently issued guidance on the use of placebos in oncology randomized trials, as new advances in care and trial design made placebos unethical and infeasible in some circumstances. Natural history models are also being developed for rare diseases, which may help eliminate the need for placebo arms in some trials altogether. Extrapolation is also helping to speed treatments to patients. Finally, a Complex Innovative Designs (CID) pilot meeting program will facilitate the advancement and use of novel clinical trial designs. The pilot will offer medical product developers an early opportunity to meet with FDA experts in all relevant disciplines from the agency’s Center for Drug Evaluation and Research (CDER) and Center for Biologics Evaluation and Research (CBER) to discuss regulatory approaches. The FDA is attempting to modernize its organizational structure, flatten its review process, and break down review silos between different scientific disciplines. Gottlieb notes the goal is to enable FDA review teams to be more disease focused and integrated across the disciplines involved in drug review. This should better enable the agency to evaluate and analyze data from clinical trials through a more structured approach to data review. A more standardized, efficient, and comprehensive process to review the safety of a drug is also being evaluated. The process is expected to leverage staff expertise in data analytics to develop more standardized approaches and templates for how safety data is evaluated. One part of the process is the addition of quantitative and programming expertise to support the efforts of the medical team. The industry should also expect more guidance moving forward. Gottlieb notes the FDA will issue many more product-specific guidance documents and will develop hundreds of new clinical guidance documents. Efforts will be made to ensure these documents stay up-to-date and reflect the latest science. Almost 100 guidance documents have already been issued in 2018. Real world evidence (RWE) has been a growing trend in the clinical space for the past couple years. The FDA has taken note, and is working to evaluate the use of RWE to support regulatory decisions. This includes data captured from EHRs, registries, and claims and billing data. Greater patient centricity will also play a role in the FDA’s move toward greater efficiency. Gottlieb notes the agency has an interest in advancing the assessment and quantification of symptom and functional outcomes in cancer patients through clinical outcome assessments (COAs), which describe how patients feel, function, and survive. Technology advancements such as patient reported outcomes (PROs) could revolutionize how we capture patient-centered clinical outcomes. The use of ePRO and mobile devices is also growing, providing researchers with a wealth of new clinical data. 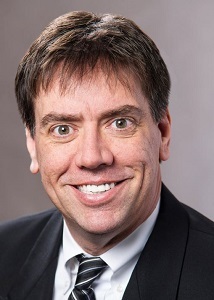 As trials become more complex and the time and cost of conducting trials continues to rise, the FDA embracing new technologies and innovation is welcome news for the industry, and will hopefully encourage companies to embrace these new technologies as well.